Le Basour, the Italian rock band, after it's succes in Ukraine and Belarus, will now land in Russia! 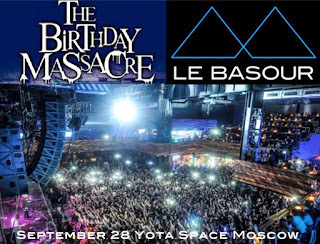 Le Basour is an Italian Electro Rock band, founded in Treviso by Allen Plaze (vocals, guitar, sound synthesizer), Skylle Mora (bass), Marnia Boll (drums, percussion) and Knk (guitar). Always attentive to new means of communication, they have a strong relevance in social networks, especially on Facebook and YouTube. Their song Pray to Stay has already been broadcast by more then 60 radio (Virgin Radio, Caterpillar from Radio Rai 2..), Repubblica.it and chosen as the Video of the Week by Italy Rock Tv. 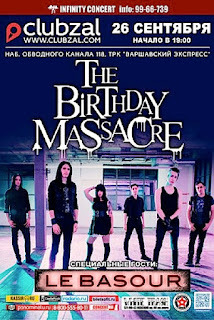 You might think: "One of the many bands that rock's in Italy..."
It's not actually difficult to explain how they achieved an incredible success both in Ukraine and Belarus and who are about to get in Russia. 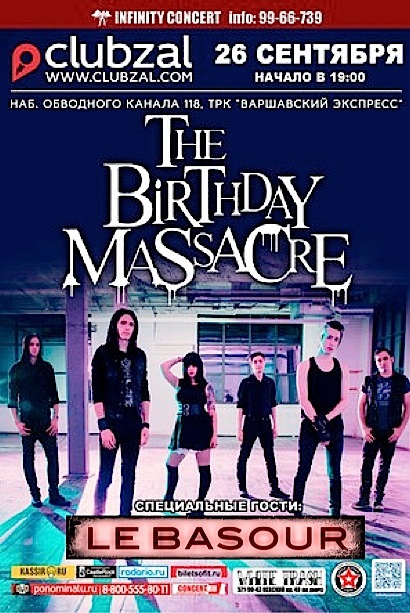 After they conquered the public as the main support of Three Days Grace and Thousand Foot Krutch, they nailed the stage with a huge crowd on the Ukrainian National Festival, are now preparing to replicate such succes in Russia as a direct support of the canadian band The Birthday Massacre in two important shows: on September 26 in Club Zal (Saint Petersburg) and September 28 in Yota Space (Moscow). "Everything still seems unreal..." said Allen, "...since I was a little boy I used to sing imagining an enchanted crowd and that dream has now come true." "Our music like, people are involved, they sing our songs and we do our best to involve them and convey them our energy".